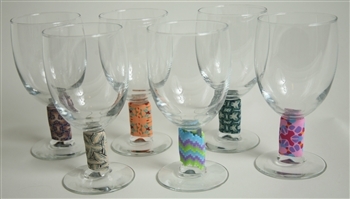 Notes :Set of 6 glasses, each having their own clay pattern. Never forget which glass is yours at a party. Not dishwasher safe. 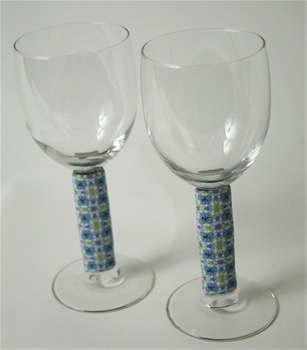 Notes: Set of 2 matching glasses. Not dishwasher safe! Look for the matching heart tin!